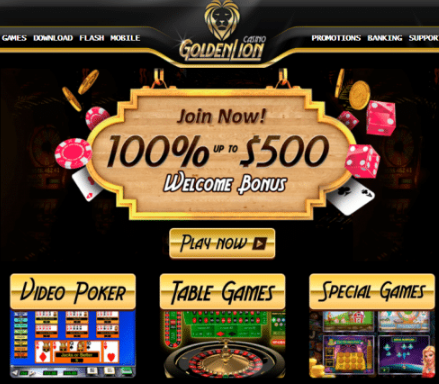 Golden Lion Casino came online in 2016 as part of the Blue Media N.V. group of online casinos. Their website is available in English and French and players can create their account is several world currencies, including EUR, USD, GBP, AUD and ZAR. The casino website is available in instant play and download mode, but players can also access the casino from their mobile devices. Golden Lion casino is powered by Rival Gaming and Betsoft Gaming. These two providers make up for a big number of video slots, slots, video poker, table games, keno, scratch cards and bingo games at the casino. But the casino also has a decent offer of live dealer games powered by Vivo. If you want to make a deposit at the casino you can only use a handful of payment methods like: Master Card, Neteller, Paysafe Card, Visa, Skrill and Bitcoin. For withdrawals you can use Bank Wire Transfer, Master Card, Neteller, Visa, Skrill and Bitcoin. 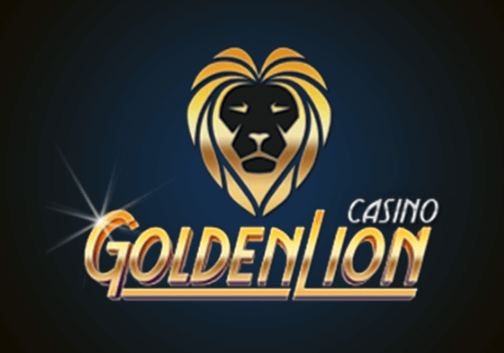 The maximum you can withdraw in one week at Golden Lion casino is $2,000. Once a withdrawal request is made the funds will remain pending on your account for 96 hours. If the withdrawal was made by using an e-wallet you can expect to receive your winnings within 7 to 10 business days. The payout timeframes are a bit long compared to other online casinos, but the important thing is that players do get paid within the promoted timeframe. The bonus offer at Golden Lion is quite generous, especially for the welcome bonus. You can claim a bonus on your first 3 deposits at the casino. The first one is a 250% match bonus with bonus code LIONESS250, the second is a 300% match with the bonus code LIONKING300 and the third one is a 125% match deposit bonus with the bonus code TIGER125. But Golden Lion casino has a big offer of bonus promotions each month. Just make sure to check your email and the casino cashier in order to keep in touch with the latest bonus promotions. Golden Lion casino is regulated in the jurisdiction of Curacao. Their casino games are proven to be fair and random by an independent testing agency, making sure that the promoted payouts are met. The casino has a professional team of support agents which are on standby 24/7. All you need to do is use the live chat service in order to get in touch with an operator.